When the Obamacare tax credits came out, California really got hit hard. The income guidelines were Federal. That quickly became a problem in California. $48K is very different in California than in Indiana. People make more in California because everything costs double in California. Don't even bring up rent or home prices. This makes life insurance a very different calculation. Term life insurance fits this bill very well. 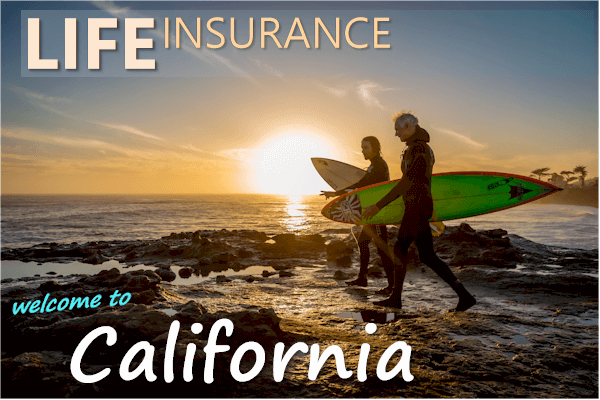 Let's look at life insurance in California. Find out how to get the best value and keep costs down. At least for life insurance anyway! California life insurance through medical plans? Life insurance is more of a commodity now with most carriers offering plans in every State. Of course, California is one of the biggest market in the US so they're all here! It's important to understand the basics of how life works. First, there are two main types of life coverage available in California. You have term life and whole life. We'll really get into how they're different below but here's the important part. The vast majority of Californian's are purchasing term life now. Term is an inexpensive way to cover a certain period of time. Let's look at each of these and how being in California significantly affects the calculation. California is still the land of growing families. As we mentioned, everything is more expensive in California so cost becomes a major issue when shopping for life insurance. Daycare. School expenses. Don't forget the ever increasing tickets to Disneyland! Term fits that bill nicely. For very small amounts, you can insure a quick $500K with no medical exam in California. You can always run your California term life quote here. Make sure to check out our term versus whole life insurance here. Let's look at the big concern for Californians. 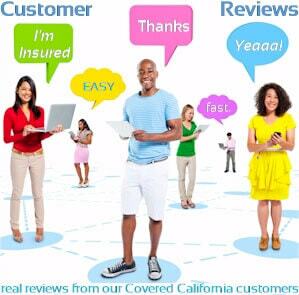 We have helped 10's of thousands of Californians find insurance. The ridiculous cost of housing whether mortgage or rent. A vast majority of people we speak with list paying off their mortgage or providing for rent as the #1 concern. There's actually a significant increase in family homelessness now simply due to the cost of housing. This is a uniquely California problem (don't tell anyone in Seattle we said that). Term life fits this nicely since you can basically pick the amount still on your mortgage and have that paid off in the event that your primary earner passes away. Once the kids are growing up, many people start to look at life insurance for the next big expense. If you have younger children and aren't really in the "market" for college yet, we're sorry! The cost is going through the roof. It's not usual to see costs of $30-$50K. If something happens, how will this be paid for? The basketball scholarship is probably not going to happen. Just coming from an AAU tournament, the competition is fierce! Term life is a great way to make sure that happens for very low cost. Especially since you're probably a bit younger when looking to cover this need. This is another common need. The kids are out of the house and out of college. Californians are not doing really well on having a sufficient nest egg. Term life can fill in the gaps for older Californians looking for life insurance. These can be smaller amounts which is good since the cost of life insurance goes up as we get older. We'll usually see anywhere from $100K to $500K for this category but everyone's needs are different. Those are the core needs we hear Californians bring up when shopping for life insurance. Either way, as licensed and expert agents, we're happy to help you find the best value. You can run your California term life quote here, email us with questions, or call 800-710-0455. There's no cost for our help as licensed California life insurance agents. Keep in mind that most life insurance companies sell across the U.S.
That being said, there are carriers which have price advantages in California. Life insurance, especially term life, it somewhat of a commodity. As long as the carrier is in good shape financially (more of California protection below), it's a question of cost. Most people think you can just run a quote and pick the cheapest plan. Life insurance is tricky in that the actual rate may differ from the quoted rate based on health, lifestyle, and a host of factors. That's where an expert California life insurance agent is really worth their weight in gold. 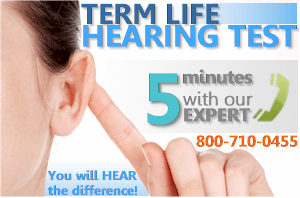 Take our 5 minute hearing test! Keep in mind that this doesn't mean they are the best for you! A lot of this marketshare comes from employers, captive sales agents, etc. There are 315 companies listed with the State that provide life insurance. As independent California life agents, we can work with any company based on your best interests. Now...what about California-based life insurance carriers? And have it stay in California...that's good! It's farm to table...for life insurance! More importantly, some of the best values can be found from these California life carriers. That's not surprising since we have one of the most competitive markets in the US. You know the saying...If you can make it in California. Don't tell New York please. Again, your life insurance carrier doesn't have to be California based. There are other more important considerations (primarily price for your health situation). That being said, Transamerica has been really aggressive on pricing and it's nice to have the money go back into our local State. You'll be able to quote Transamerica alongside the other major life companies available in California. Here's the secret that most people don't know when shopping for life insurance. Anyone can run a quick quote and see what the rates are across many carriers. Everyone online has the same rates for a given carrier, age, area, amount, and plan. So don't you just pick the lowest price from an online quote? The amounts that are quoted anywhere online are just estimate. Because life insurance is the most underwritten type of insurance out there. Your health, lifestyle choices, and other criteria directly affect the ACTUAL rate that is offered. This is where expert help comes in handy. Especially expert help with knowledge of California carriers and options. The person you speak with will have 25+ years experience in California life insurance. We're in very high demand for that reason but we'll help you quickly find the plan that will offer the best ACTUAL rate. About 50% of the people we see who pick a plan based on online quoted rates end up going with another carrier. You can either spend all that time and hassle applying twice or we can help you avoid the pitfall to begin with. We want you to actually get protection at the best rate. If you you're quoted $30/month and it comes back at $60/month...guess what. You're probably not going to actually get the plan. That's not good for you and it's not good for us. Our goal is to find the life plan that will actually come back with the rate you want. Call us at 800-710-0455 or email us. To get the best California life insurance rate...you need the best California life insurance agent. There's no cost for our services. Zero. California is tricky in terms of planning for life insurance. There's now a net outflow of domestic migration with people moving to Nevada, Texas, Arizona, Florida, and the like. We have to take that into account with life insurance planning. Outside of a few other States, the amount of term purchased in California is roughly double of other States. Housing alone will get you there. Insurance! Let's not even talk about medical insurance! One note on the last item there. Health insurance has roughly doubled/tripled since 2014 in California. If you don't get a tax credit, it's very expensive. One benefit of life insurance is that it isn't taxable. 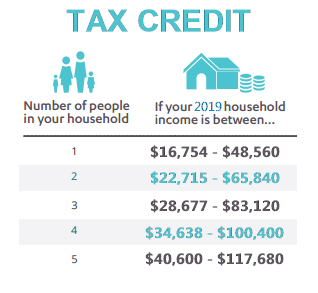 It doesn't flow down to your line 37 on the 1040 tax form so you may still qualify for a tax credit based on income even with the life insurance payout! That's huge and something that most people don't think of. 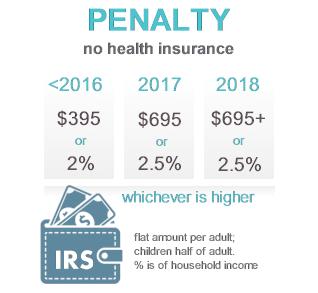 The no-medical exam life policies typically go up to $500K in California. Fully insured can go higher. If you have any issues at all in terms of health or lifestyle (marijuana, tobacco, weight, etc), definitely call us. Each California life company has special niches where they offer better pricing. With a quick 5 minute question/answer session, we can narrow it down to the best fit for your situation. This speaks to the section right above. It's so expensive to live in California and we have so much to cover in case a key earner passes away that term life becomes the only viable option. What is $50K of whole life going to do for your loved ones if you pass away. $50K of whole life is probably priced about the same as $500K term. $50K will be your property tax and state tax in California. The very thing that makes term life attractive (large amounts for low premium) are even more important in California. Due to the cost of living here! We've written a whole article on term versus whole life insurance here and we're happy to help with either but term is a better fit to get the right level of protection to stay in California! California loves it regulation and in this case, so do we. There is a law in California insurance code that essentially protects up to 80% of the face value of a person's collective life insurance coverage. If you buy $500K term life protection and the carrier goes under, you have protection for $400K! It doesn't mean that we want to go with bad carriers...we still need to be smart. There are other considerations besides going under (how about paying the benefit without requiring first born). It does however provide some piece of mind when picking a plan and carrier in California. What about getting life insurance through a medical plan? Most of them offer some level of life coverage whether it's group or individual/family. First, most of the plans offer small amounts of term protection and as we mentioned above, we need to cover a lot of living costs in California. $25K is not going to do it. Secondly, once you get up to a higher amount, it's actually cheaper to get stand alone life coverage. Life offered through medical plans tend to be more expensive per $10K of coverage. They're expensive riders and the health carriers figure that people will pay more for the ease of enrollment. It's also tied to you being on the medical plan and that's not a good assumption these days as health insurance is in a total state of flux. The offer comes back and we decide we don't want it. In California, you have a 10 day free look period to cancel the policy never effective. Use this time to review the policy and your insurance needs. We can even help you. The enrollment process is involved but it's more important to us that you have the right coverage. Don't be afraid to change your mind or choose a different option after the fact with us. Just do it in the first 10 days! You can always cancel after but the premium paid cannot be refunded after the 10 days. This is a huge trend right now. We can now get up to $500K of term life with no medical exam in California. In some cases, we might get more. If the no-exam term amounts fit your needs, talk to us at 800-710-0455. We'll see if there are benefits with either no-exam or fully underwritten California term life for your situation. Newsflash...Marijuana is legal in California! This always been a big issue in terms of life insurance qualification. If you answered "yes"�, guess what. Or rates went up significantly. Either way, we now have options for people who work within the new California laws for both medicinal and recreational marijuana use. This means that the carrier has decided they will not harshly judge this behavior. When you run your quote, that type of advantage won't come through. We can craft a quote based on Marijuana use (or tobacco, or chewing tobacco, or weight, or on and on). Call 800-710-0455 or email us. We'll guide you through the process with 25+ years of ridiculous experience! Take the Life Insurance Hearing Test. You'll know the difference right away. There's no cost for our assistance as California life insurance agents with 25+ years experience. 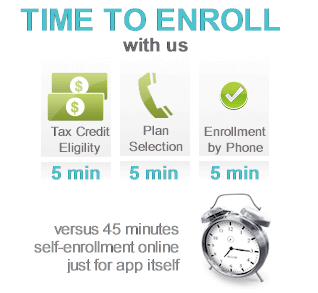 Enroll right by phone in minutes! We know what the terms mean. Unless you're buying life insurance every week, we can save an average of 45 minutes to an hour off the application process. More importantly, based on your answers, we'll probably find a better rate for you. Call 800-710-0455 or email us to enroll in California life coverage. Of all States, California's cost really drives the need for life insurance. Get Help! Your rep will have 25+ years experience in California life insurance. Look...the latter point is all that matters. You'll know right away that you're talking to a professional with your interests at heart. We'll take the challenge any day! Call 800-710-0455 or email us with any questions. You can run your Online California Term Life Insurance Quote here to view rates and plans side by side from the major carriers...Free.